As a technology enthusiast, I always like to have the latest and greatest devices. However, keeping up with the latest tech can be an expensive addiction. Although most of us are only eligible to upgrade or trade-out our smartphones every year or two, there are a ton of things you can do with your current device to make it seem like a whole new phone. Thanks to operating system updates (Android Jelly Bean/KitKat, iOS 5) software developers deliver a periodic fresh new look and feel to our hardware while showering us with new and innovative features. 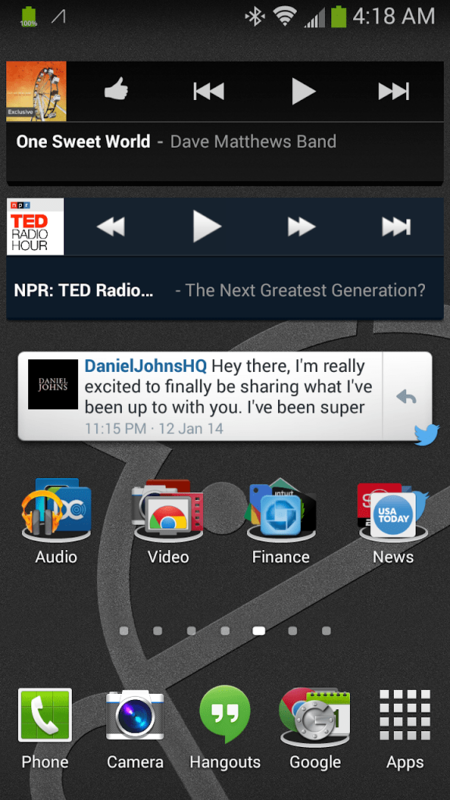 But, beyond that, there are a bunch of things we can do to declutter of phones and make them work for us. Just the other day I was trying to record a video on my Samsung Galaxy S III when I realized that the audio quality was horrible. I returned the device to the store where they swapped it out for a refurbished model. Some of you might think that carrying a Galaxy S III puts me way behind the times, but when you think about it, I have most of the features of the newest smartphone, but with the added ability of having removable storage and swappable batteries (something you cannot do with the Google Nexus or iPhone). A Factory Reset can breathe new life into your phone. Over time your device gets worn down by tons of applications, widgets and background processes that can chew through your data plan and your battery consumption without you even knowing it. Within a few months your device can get slow, bogged down and just not as fresh and fast as it was out of the box. By backing up all of your contacts, photos, videos and apps (best done by using a Google account to store your contacts and Autobackup to store your photos and videos) you can easily reset your phone and get a fresh start in just a few minutes. The advantages of doing this are that you can review the apps on your phone, how you have your home screen configured and make your phone what you want it to be. Take time to organize your device. By putting the apps and contacts that you use most at your fingertips, you will find that using your phone efficiently can save you a ton of time and extra thumb presses. As you can see from my updated home screen, I’ve put all of the things that I use most in my system tray. That way, as soon as I unlock my phone with one or two taps, I can get exactly what I need. One of the annoying default settings of most phones is that when you install an app, it automatically places an icon for that app on one of your home screens. This can be really frustrating with Android, as it will just crowd your unused space with icons. By turning off that option, you can take control of what you want to keep on your home screens. 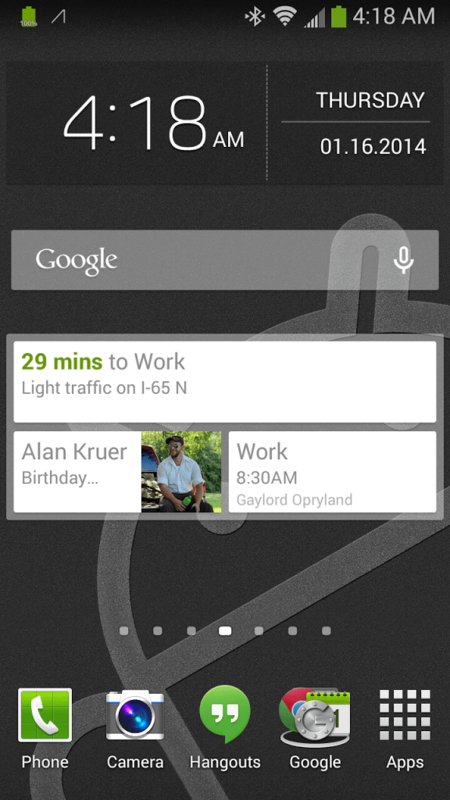 Use widgets to take a quick glance. Sorry iOS users, this one is only for Android. By using multiple home screens and some of the great widgets available, you can quickly browse the information you need from your favorite or most used app without having to load it each time. Sorting your applications into folders can also help you quickly find what you’re looking for without trying to recite the alphabet each time you’re looking for an app. Functionality trumps design (at least for me). Most of the time, when I see people post screen captures from their phones, I see beautiful background images and aesthetically pleasing icons and clocks, but what I don’t see is functionality. When I pull my phone out of my pocket, I want to complete a task as quickly as possible. Whether it is making a call to a love one (I use favorites in Phone), launching an app (sorted by folders) or glancing at my calendar or e-mail (widgets), I like to keep my phone set up to work for me and make my life easier. After all, that’s why we spend some much on this technology, to make our lives simpler. After resetting your phone, reorganizing your apps and ridding your phone of the ones you never need, giving yourself a new background/lock screen, you’ll feel like you have a brand new device. The best part? It was all completely free. If you have tips on how to make your phone work for you or how you give yourself an Android makeover, leave them in the comments below. I’d love to see what you’re doing to make your phone even better!